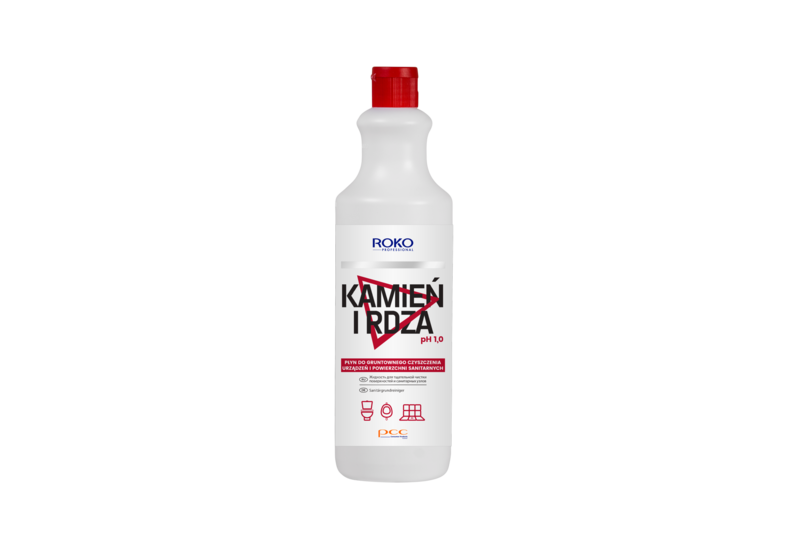 ROKO PROFESSIONAL SCALE AND RUST is a product intended for thorough cleaning of tiles, fittings and equipment of swimming pools, toilets, bath houses, showers and intended for cleaning acid-resistant surfaces. It automatically removes durable dirt and calcium scale, urine, rust, soap, cement and other deposits of organic origin. Its thick consistence allows for sustained sticking to the cleansed surface. It has anti-bacterial properties. It is developed for cleaning of ceramics, acid-resistant metals, rubber and glass. The product is intended for professional use. descaling rust removal cleaning tiles cleaning fittings cleaning ceramics cleaning acid-resistant metals cleaning rubber cleaning glass swimming pools baths showers.